Search Engine Optimization. This is one of the initial steps that can still be refined by really working on targeting your niche. Whenever you optimize your web site on search engines, you decide on what keywords you would like to get optimized for. Selecting the right keywords will determine how targeted your traffic can be. 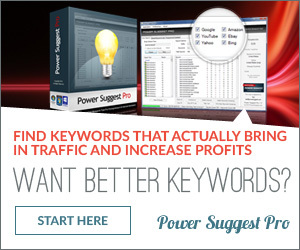 General keywords pose great competition and may attract web surfers that are not really after a purchase. Specific keywords (such as “hire HTML programmer” instead of “HTML programmer”) delivers a clearer message and will likely get you visits that are more targeted – and hence more likely to do business with you. Advertising. This will get you the most targeted traffic because of a clear message that you provide on the web. When doing ads, there can be no mistake in trying to communicate to a web surfer what your web site is all about (unless you are not transparent enough in conveying your message). When your ad clearly states that you are selling software (let’s not include the adjectives), anybody who clicks on the ad is likely to be someone really interested in buying software – as opposed to when your ad only states software which can project various messages. Pay-Per-Click Campaign. This combines the features of both SEO and web ads. In PPC campaigns, you create a text ad that is displayed by search engines only when the searched word or phrase includes or is exactly the same as the keywords or key phrases you bid for. This is particularly advantageous if you are greatly optimized in search engines since you will not need to bid highly for the keywords. As a result, you get to be displayed frequently for most related keywords; but you get only really quality traffic since clicks will only be made on your ad if the web site surfer is really interested on what your ad says (not because a link to your site was fed to him during one of his searches but that he was actually clueless as to whether your web site can really help him). Email Marketing. If the people are simply not reaching out, then make the first move by spreading the word on your web site via emails. Draft a compelling content that explains what your web site is all about, how a visit to it can be truly worthwhile, and, overall, what the benefits that await each of your visitors are. Let them subscribe to your emails so you can always update them on current developments and so you can guarantee a continued stream of interested visits to your site. There are still other ways to increase targeted web site traffic. It is a matter of choosing which will work best for you given the existing resources and your level of convenience for each method.